Whenever a vehicle has experienced damage either by accident, theft, vandalism, fire or weather, the insurance companies assess the damage to the vehicle and determine the percentage of loss. Some vehicles that sustain damage of 75% or more of its value at the time it occurred, are deemed total loss by the insurance company. These are branded with a “Salvage” title to alert the owner of the previous harm. This rule can vary since some states will declare salvage a vehicle when the damage is as low as 60% or as high as 85%. The insurance companies assess the damage and determine whether or not it would be cheaper to pay for the vehicle to be repaired or just to sell it “AS-IS”. The insurance companies are interested more in recouping the most for the vehicle in the shortest amount of time. 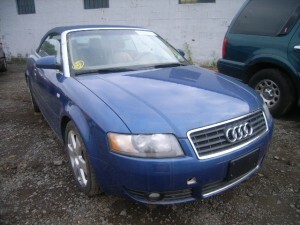 Therefore, these vehicles are sold through salvage auctions for a discounted price. Buyers can place bids in the auctions to purchase the vehicles. Salvage cars can be purchased for minimal amounts because the buyers have control of how much they want to offer. These are usually purchased by licensed dismantlers, dealers or even private buyers. Salvage vehicles are a good source for obtaining parts to use in rebuilding other vehicles, which is what most of the buyers are purchasing them for. Also, these vehicles can be repaired, and after an inspection by the DMV a “Rebuilt” title can be issued.